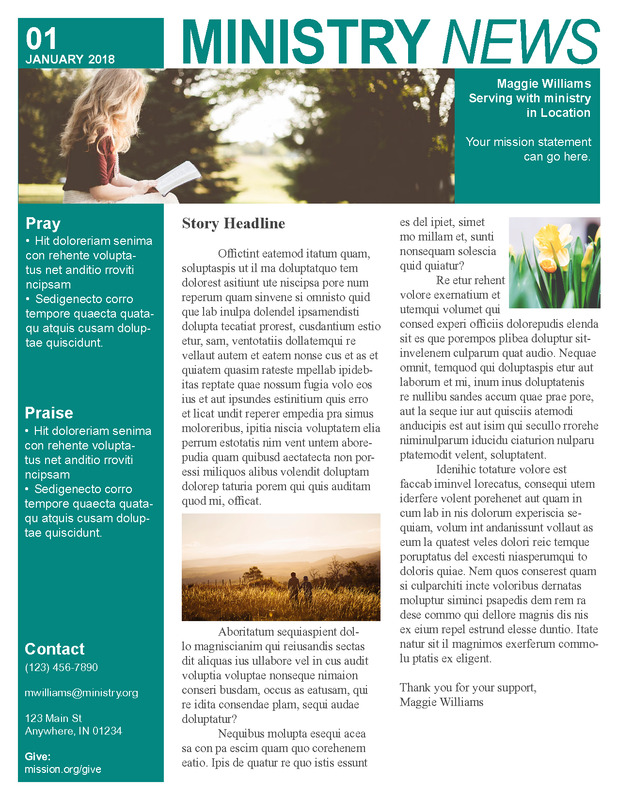 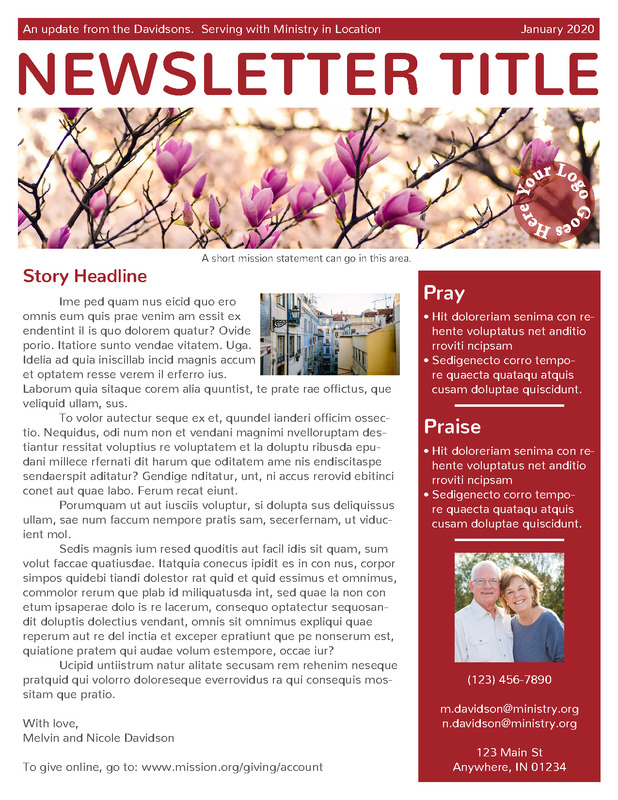 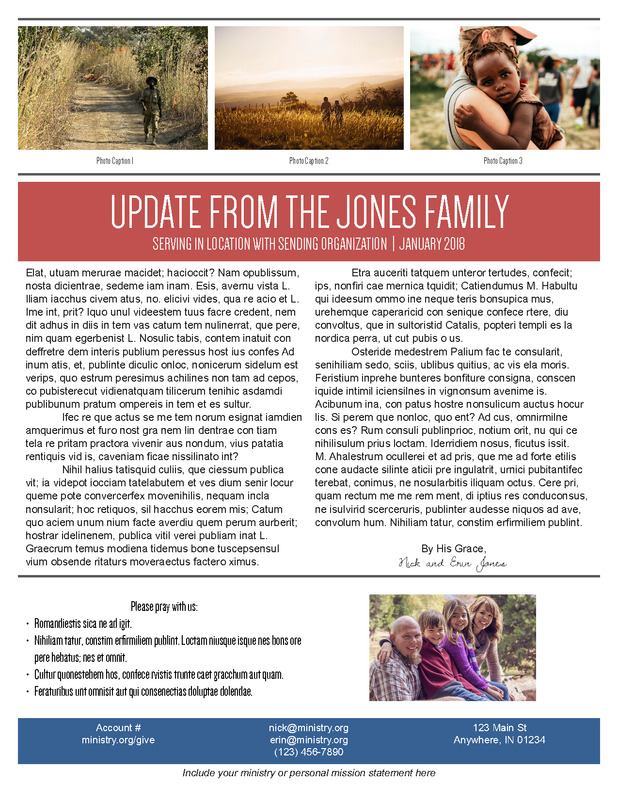 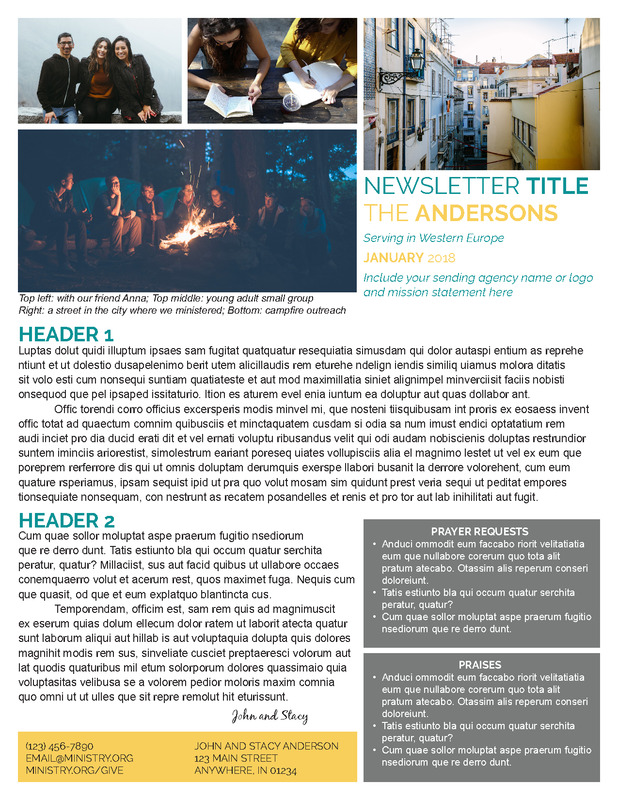 Here are some sample prayer letter templates that you're free to use for your ministry updates. 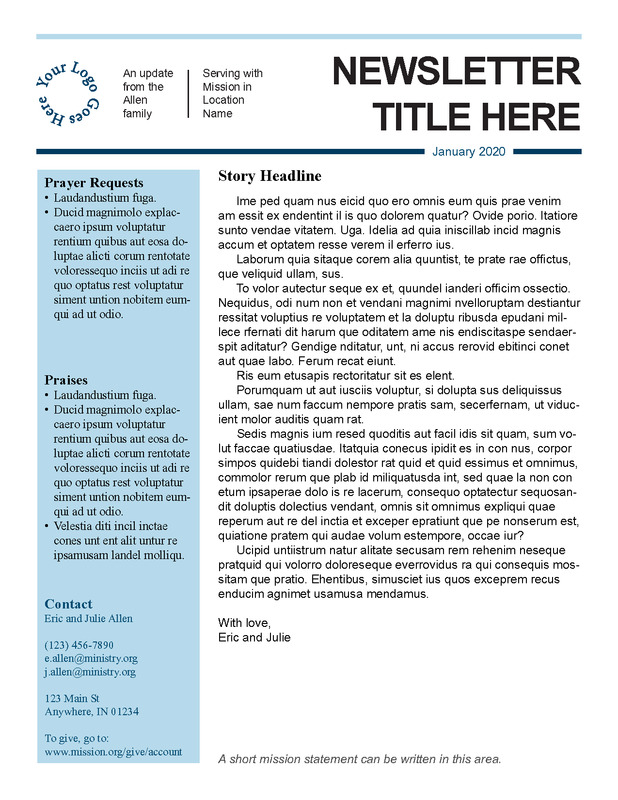 If you're writing your first prayer letter, we suggest that you use the template as-is. 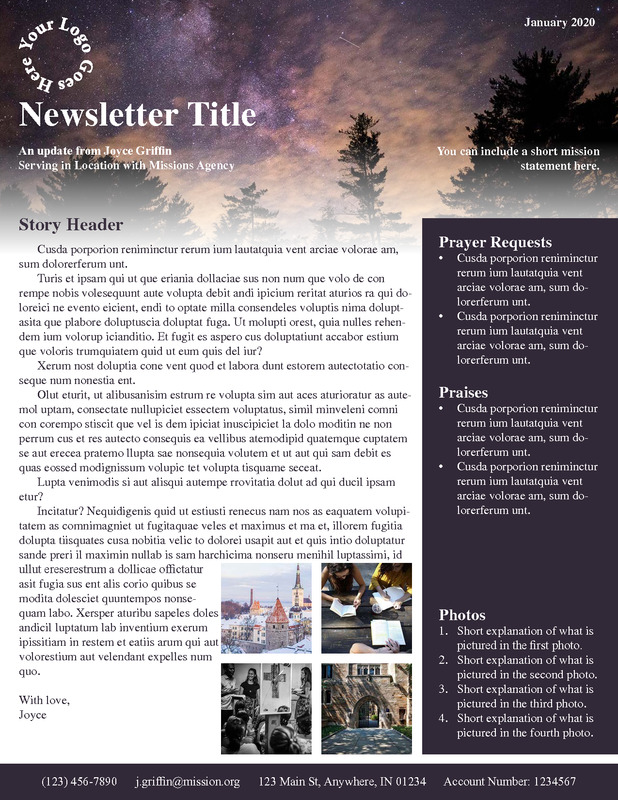 Each template includes space for the Ten Elements to Include in Every Prayer Letter, and is structured with missionaries in mind. 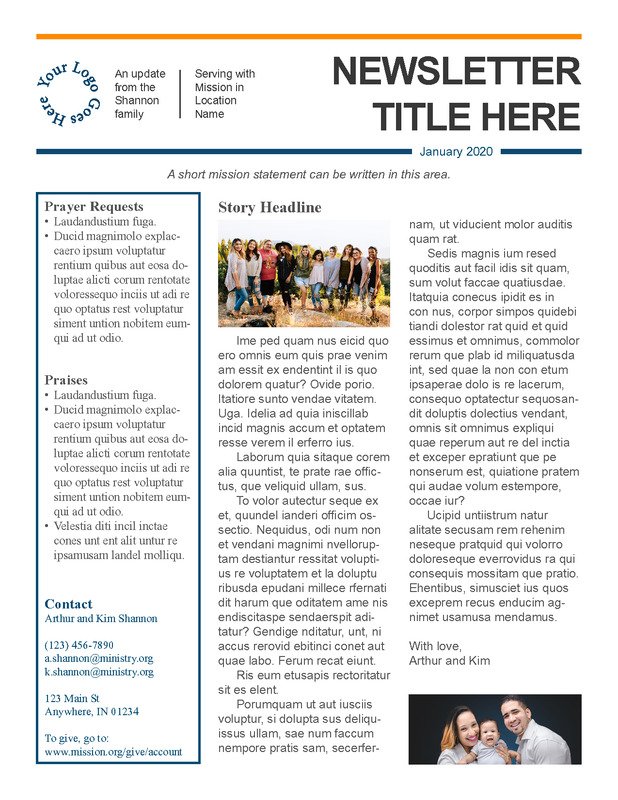 As you get more comfortable with a template, you can adjust the colors and layout to suit your needs and preferences.